NEW! 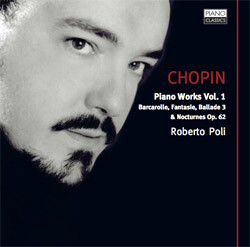 BEGINNING IN JUNE 2011, ROBERTO POLI'S CHOPIN RECORDINGS ARE BEING RELEASED BY THE LONDON-BASED LABEL PIANO CLASSICS! 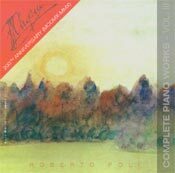 Roberto Poli is one of the most interesting, and above all complete, pianists of our time. The use of the pianoforte is here at its best. His third Chopin is even more sweet, tragic, thrilling: a real pearl. The piano, the environment and the sound-take makes this live performance something very exciting. 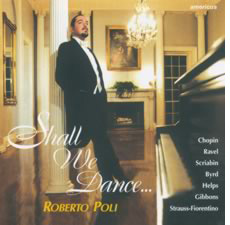 In celebration of Chopin's 200th birthday, Roberto Poli continues his venture into the complete works of the composer. This second volume is devoted to some of Chopin's late works: The Polonaise Fantaisie in A flat major, Op. 61; the Three Mazurkas Op. 59; and the Sonata in b minor, Op. 58. 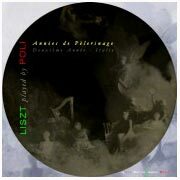 Recorded Live on March 30, 2008, these works were part of a recital performed at the newly built Rivera Recital Hall at the Rivers School Conservatory in Weston, Massachusetts, USA, where Roberto Poli is Artist in Residence. 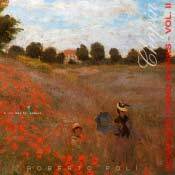 Society of Composers, Inc. "Sonic Images"
"This recording of Chopin's works by the Venetian pianist Roberto Poli couples the familiar with the unknown to reveal a different persona from the romantics' Chopin, one closely attuned to popular tastes and actively engaged with the political strife of his own day. 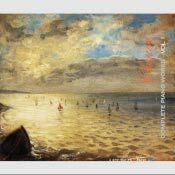 The collection also emphasizes what the nineteenth century failed to appreciate fully: a master craftsman in full command of large-scale musical forms..."